Uniquely designed sculpture in a three dimensional contemporary style. 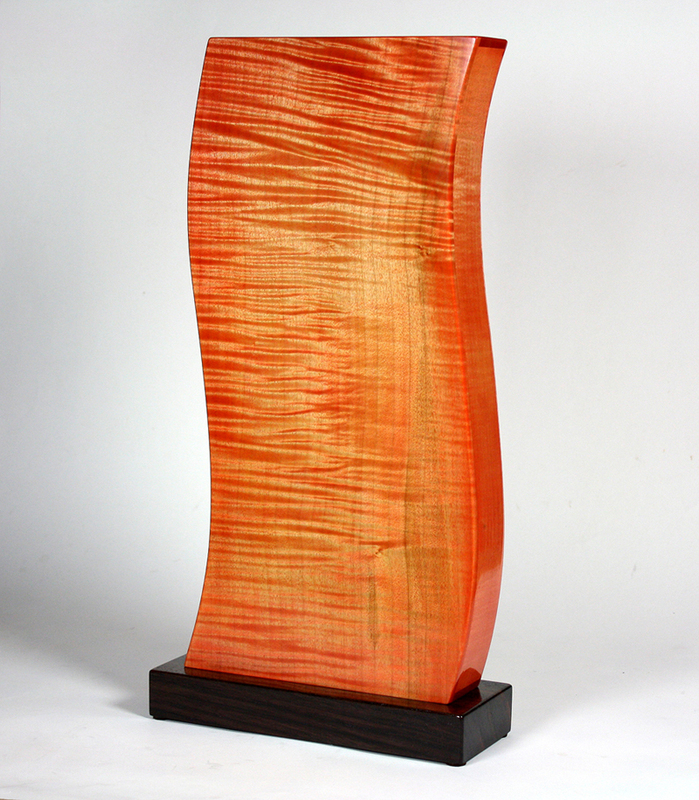 This organic sculpture depicts a raging inferno and is composed of a combination of highly figured maple, clear maple and a rosewood base. Meticulous attention is provided to detail and finishing. Finished with multiple coats of thinned shellac in a French Polish process. This process maintains the clarity and depth of the figured woods and draws out the natural undulating graphics.